The first Rolls-Royce crossover will be named after the Cullinan diamond, the largest rough diamond ever found. After three years of speculation, Rolls-Royce officially confirmed Tuesday that its upcoming SUV will be called the Cullinan. While the British luxury manufacturer is still reluctant to pull the camouflage wrap off of its brand new vehicle, at least we know what to call the bloody thing. The Cullinan takes its name from the largest and most famous rough diamond ever found, which was unearthed in South Africa in 1905 and weighed 3,106 carats. Rolls was inspired by the diamond's story, primarily the long process of creating such a beautiful stone. 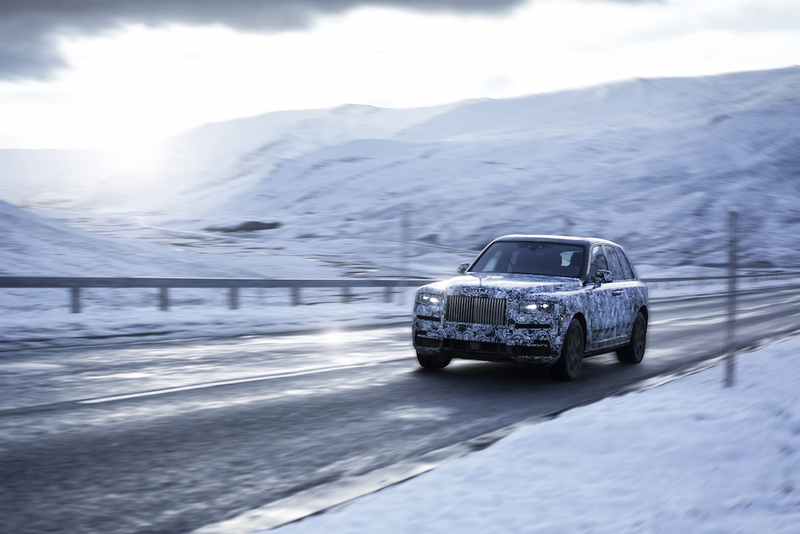 Like that of the gem, the method for developing the Cullinan SUV took a long time, and Rolls-Royce subjected it to the harshest conditions during testing. "Cullinan is a motor car of such clarity of purpose, such flawless quality and preciousness, and such presence that it recalibrates the scale and possibility of true luxury," said Torsten Müller-Ötvös, Chief Executive Officer of Rolls-Royce. "Just like the Cullinan Diamond, the largest flawless diamond ever found, it emerges when it is perfect and exists above all others." 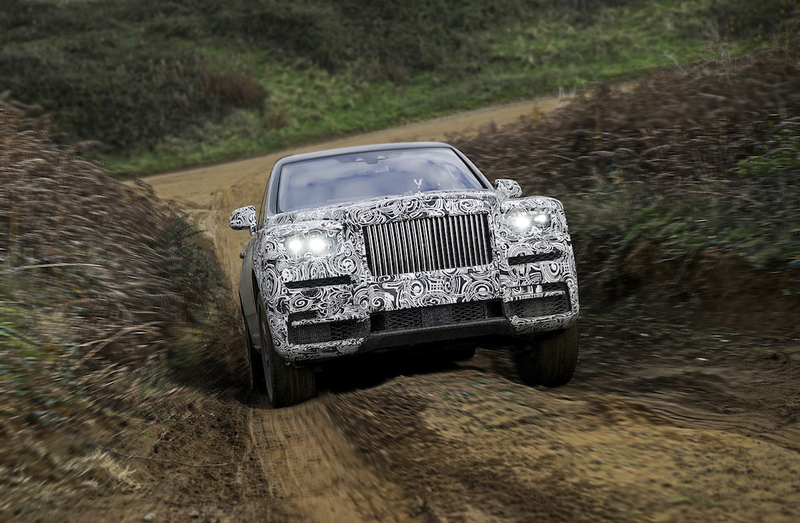 Rolls-Royce also confirmed that the Cullinan will ride on the new "Architecture of Luxury" aluminum frame, which it will share with the 2018 Phantom VIII sedan. 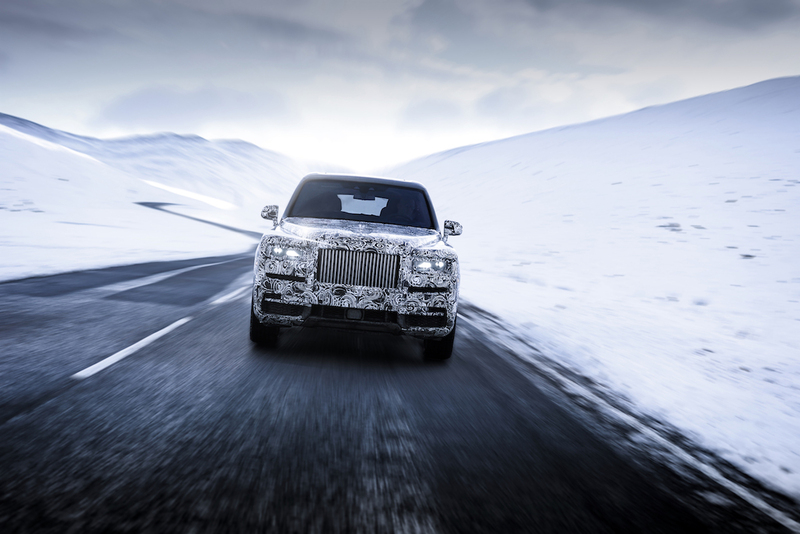 Whether you think the decision bu Rolls to build a crossover is awesome or sacrilegious, you better believe that the Cullinan will be the top of its class—in price, performance, and number of luxury features. Look out Bentley Bentayga, there's a new constable in town. But don't think that'll make them any cheaper. The last three Phantoms have been announced for this exhibition in London, including the newest Rolls.